ps…my brother rocks the cowboy hat, don’t you think? Beautiful pictures! You have such a great perspective. Loverly, all of it, that scenery is breath taking! Peter totally rocks the cowboy hat! He looks completely awesome! In fact he makes me wish mine still fit me, however I wouldn't look nearly as cool. I'll stick with the pork-pie/news paper boy hats. Beautiful pictures, again, as always! I especially love the one contrasting the dark green to the brooding storm-clouds glaring down on the lowly sihlouette. Awesome stuff. looks awesome in the cowboy hat. 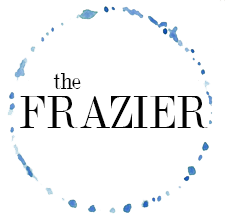 ©EVERYTHING ON THIS BLOG IS OWNED AND CREATED BY EMILY FRAZIER UNLESS OTHERWISE NOTED. IF YOU'D LIKE TO USE OR REPUBLISH ANYTHING, PLEASE ASK.